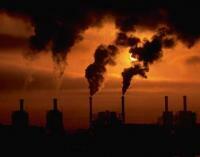 President Obama Retracted EPA Ozone Standards. Would You? What?! More breaks for Big Oil and manufacturing at the expense of our health and natural environment? I thought we were moving beyond bottom-line resolutions. What happened to systemic, holistic approaches; sustainability; and corporate social responsibility? Earlier this month, U.S. President Barack Obama withdrew an EPA air-quality standard for Big Oil and the manufacturing industry that was meant to reduce ground-level ozone down from 75 parts per billion to between 60 and 70 parts per billion. Most states presently have an air quality that’s much higher than these figures. As it is now, most states are in nonattainment after reverting to 1997 levels of 84 parts per billion. What’s that you’re saying? You may ask. Bla, bla, bla..parts per who? What does do these numbers mean? What is ozone anyway? Chemical reactions between the sun and oxides of nitrogen along with volatile organic compounds (or VOC) produce ground-level ozone, the primary constituent of smog. According to the EPA, ground-level ozone and the smog it helps produce is responsible for human health problems such as emphysema, asthma, bronchitis, congestion, chest pain, premature heart attacks, and overall, reduced lung function. It also effects the environment by reducing forest growth and crop yields, impacting species diversity, damaging tree leaves, and interfering with the ability of plants to produce and store food. So if ground-level ozone is so harmful, why did Obama let the oil industry off the hook by allowing them to delay complying with increased standards? Elections are coming up and job creation is a hot topic. In a letter sent out two weeks ago to GOP members, House Majority Leader Eric Cantor listed EPA statutes as one of the 10 most harmful job-destroying regulations, according to media reports. The argument is that jobs will be forfeited due to the massive expense to install clean air technology. In September 2010, MAPI Manufacturers Alliance released the Economic Implications of EPA’s Proposed Ozone Standard, a report that correlates joblessness to parts per billion of the ozone standard. According to the report, if the ozone standard is reduced to 60 parts per billion then 7.3 million people will be out of work by 2020—that’s 4.3 percent of the projected labor force. In my opinion, their findings protect corporate greediness and social irresponsibility. Let’s look at some numbers, shall we? According to figures reported by ABC World News, BP, Conoco Phillips, Exxon Mobil, and Shell posted first-quarter profits of $5.48 billion, $3.0 billion, $10.7 billion, and $6.3 billion, respectively. For Exxon Mobil this is a 69 percent increase from the same period last year. In 2010, Exxon pocketed $19.3 billion in profits while Chevron pocketed $10.5 billion in profits, according to ABC World News. Then there are the special tax breaks Big Oil receives annually, which totals an estimated $4.4 billion per year, according to an MSNBC report. The special benefits don’t end there. Oil production is one of the most heavily subsidized businesses in the U.S. Under the American tax code, oil companies are legally allowed to deduct half of the cost of new refineries and refinery upgrades from their taxable income for the first year of operation. Last year, oil and natural gas industry spent $146 million on lobbyists, according to Big Oil watchdog groups. Robert Dudley of BP earned $6.8 million. Record profits. Tax breaks. Fat compensation packages. I’m still confused as to why so many jobs will be “lost” from improving air quality? I won’t pretend to know exactly how this industry functions, but it’s alarming that Big Oil and our politicians have not moved away from an egocentric business ethic toward a blended-value practice that systemically integrates social justice and environmental sustainability. Politicians make decisions based on votes and special interests. But what about you? What about me? What are our decisions based on? I invite you to think about your own reliance and overconsumption of oil and gas while you’re driving to work—one person per car, sitting in traffic, despite years having gone by with little to no progress towards alternative energies and improved public transportation. Ask yourself why you don’t choose to ride your bike or why you don’t even have one? Will walking two miles to the store kill you? We’re asking Big Oil to invest millions of dollars towards environmental equipment, but we’re too lazy to bring our own bag to the grocery store thinking nothing of collecting more petroleum-based plastic bags to carry our food a few feet from store to kitchen. Do you buy local products made from renewable resources? Are your lights on when they shouldn’t be? Do you have a lawn that needs cutting or do you plant native species instead? Did you install solar panels? I could go on, but you get the picture. We are ALL responsible for reducing ozone levels. Who is setting your standards? Are you in compliance?